I like it only when there is not a crowd. 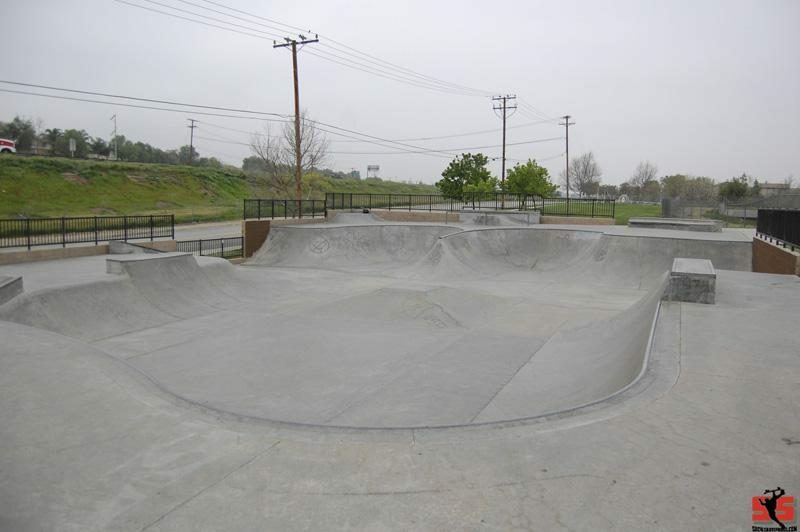 You can flow threw the hole park if there was not many people. Small but some fun boxes and corner sections. A great little side by side bowl for skaters to flow threw them and hit the spine transitions as needed. Good for beginners to learn some easy drop in sections and a good semi tall role in. Nice place to start before going over to the large Chino park down the road a bit.